San Francisco based duo LAZER SWORD (members are Lando Kal & Low Limit) delivers with the self-titled LP « Lazer Sword » (Innovative Leisure) a brilliant album fusing anything from rap, electro, dubstep and grime together to form a new kind of musical experience. “Lazer Sword” also has very good collaborations like on “Topflites”, a powerful hip hop track worn by heavy basses and the incisive flow of M SAYYID (Antipop Consortium / Airborn Audio). 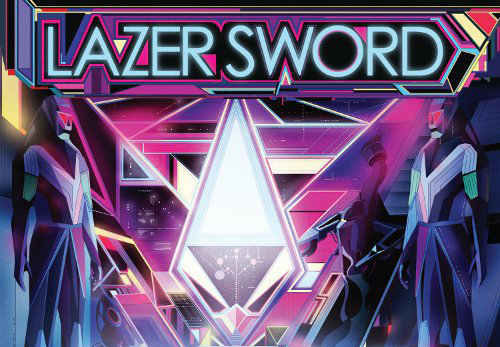 The fifteen tracks of “Lazer Sword” offer a journey punctuated by the sound of future music, an original and varied selection marked by heavy basses and sharp melodies which have all to make “Lazer Sword” one of the releases of the year.